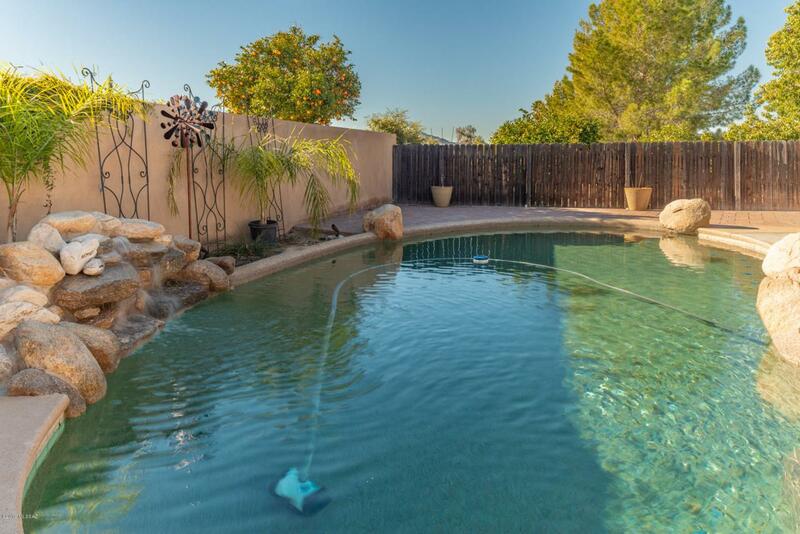 Enjoy your evenings listening to the sound of water trickling into your pool with a fountain and beautiful lighting. 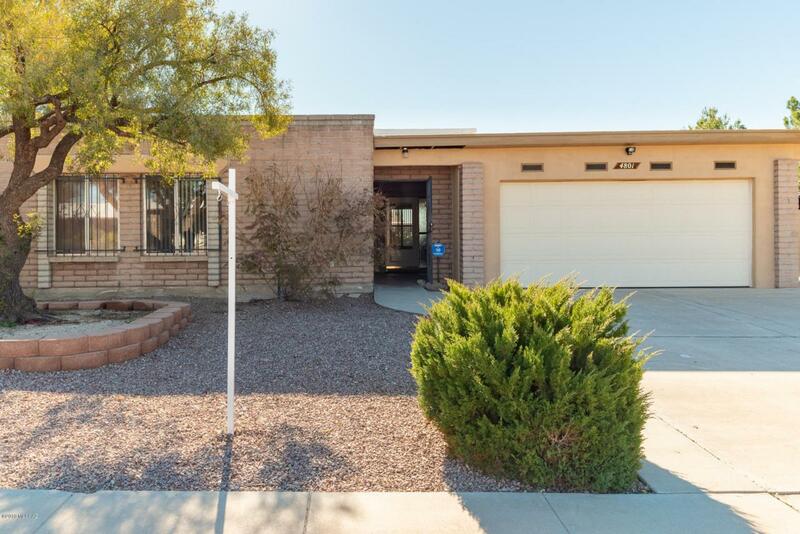 Located in the desirable Countryside neighborhood this 3 bedroom 2 bath 1,773 sq/ft home has a great kitchen with corian counter tops, ample cabinetry and stainless appliances, The Arizona room has nice oak cabinets and opens to the back patio. Both bathrooms are nicely updated. 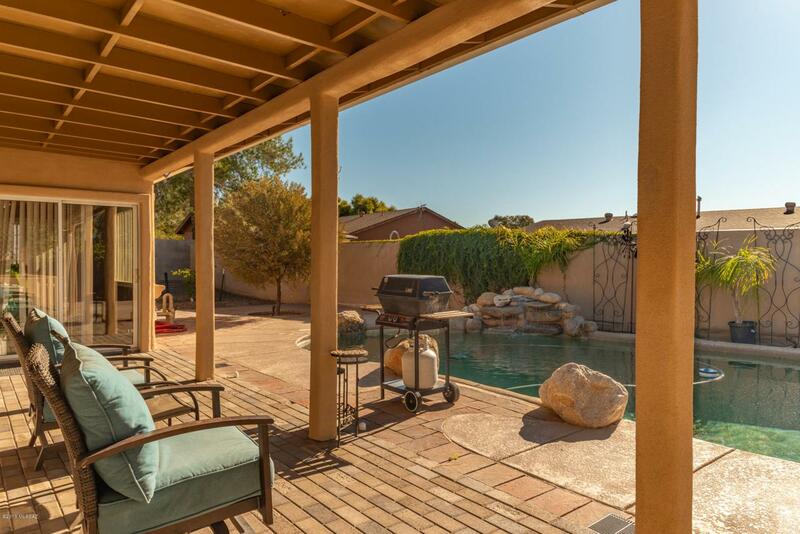 Large covered patio, new drip system, natural gas plumbed in for an out door kitchen. 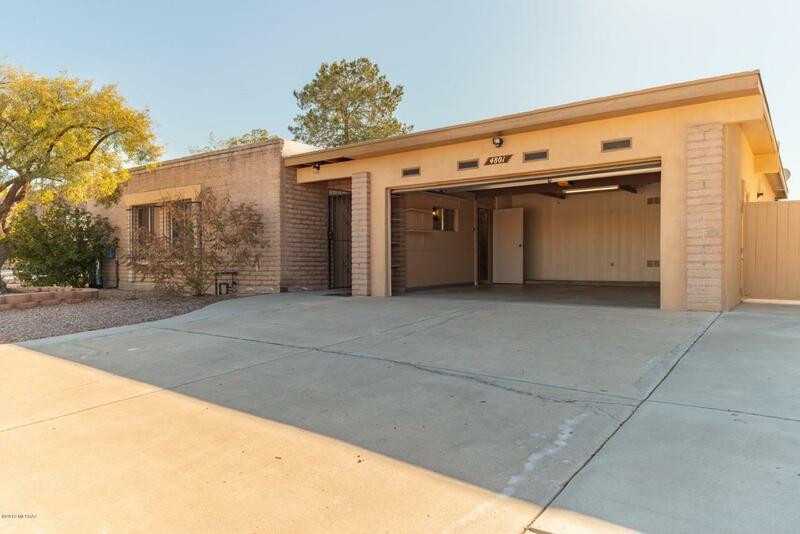 Large storage shed plus a workshop in the garage. RV parking. Roof has new reflective coating, New ac, New salt-less water softener. New pool motor, pump and filter. Fresh exterior paint. solar, NO POOL BARRIERThe two car garage has a separate work shop. Optional membership to the Countryside community center. All of this and NO HOA!